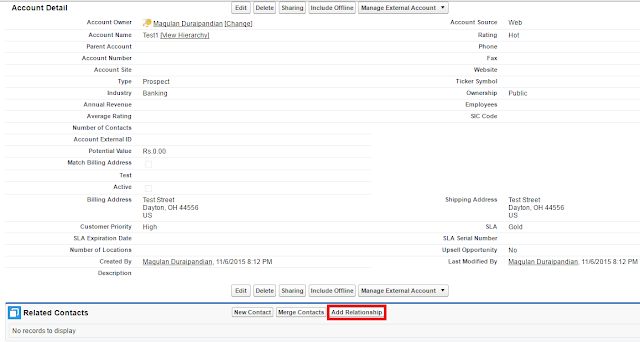 Infallible Techie: How to relate a Contact to Multiple Accounts? 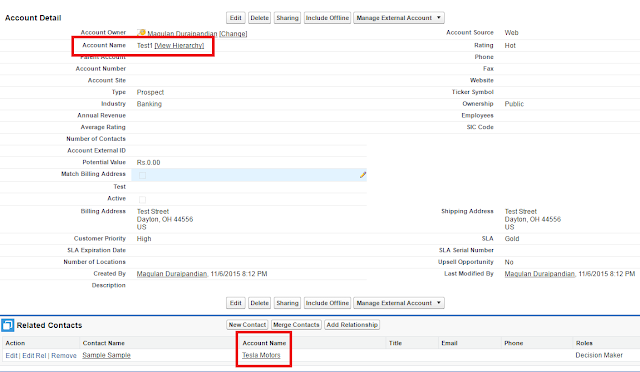 Contacts to Multiple Accounts lets reps associate a single contact with multiple accounts. Every contact needs to be associated with a primary account (the account that appears in Account Name). And now, your reps can associate more accounts with each contact. The primary account represents a direct relationship; the other accounts associated with a contact represent indirect relationships. 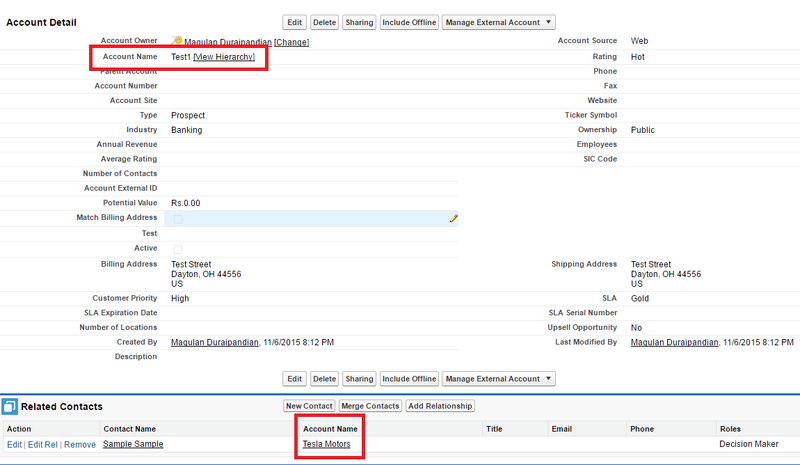 In the Related Accounts related list, the Account Name field appears only if the user has access to the account. If they don't have access to the account, only the Account Contact Relationship fields appear. From the Related Contacts related list, users can navigate to a contact record, but not an account record. 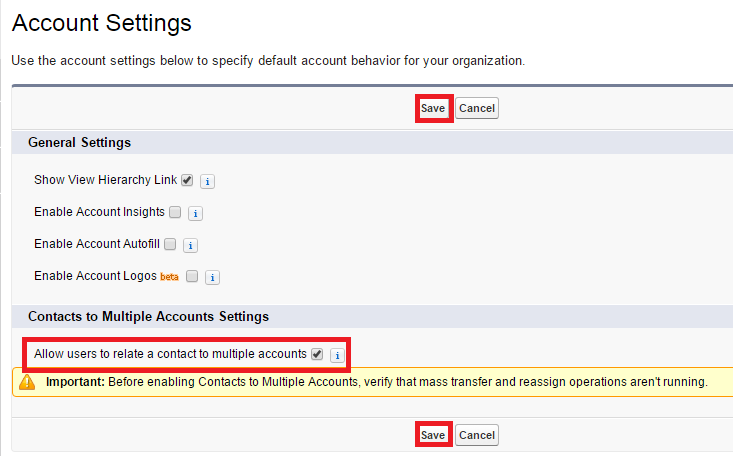 Similarly, from the Related Accounts related list, users can navigate to an account record, but not a contact record. 3. 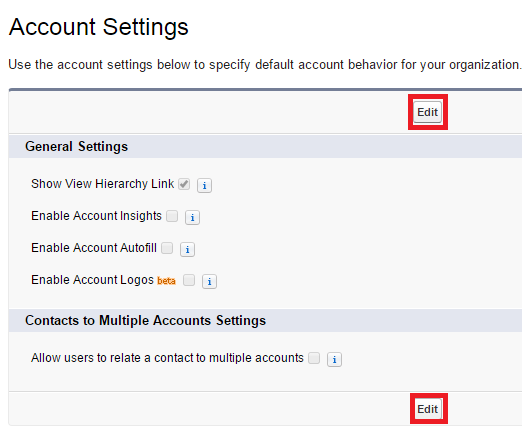 Enable "Allow users to relate a contact to multiple accounts". 4. 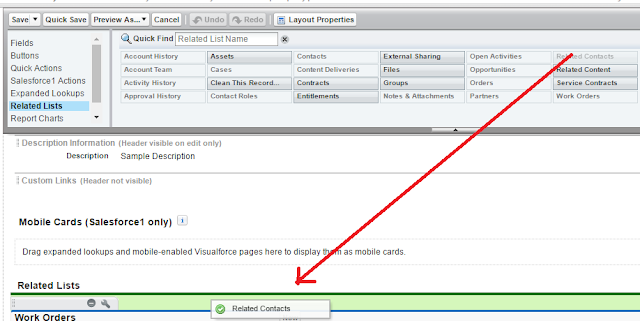 Go to Account page layout and add Related Contacts related list. 5. Go to Contact page layout and add Related Accounts related list. 6. Open any Account record and click "Add Relationship" button. 7. Select Contact record from different Account and click "Save" button. 8. We will be able to see the Contact from different Account associated with this Account.